ONE OF KIND EXAMPLE, THIS BEAUTIFUL VEHICLE HAS ALL ORIGINAL PAINTWORK AND IS IN UNBELIEVABLE CONDITION THROUGHOUT. NO EXPENSE HAS BEEN SPARE WITH RECENTLY HAVING A NEW CLUTCH FITTED. GREAT SERVICE HISTORY. ARGUABLY THEIR MOST RELIABLE AND REVERED MODEL THAT DRIVES AND SOUNDS LIKE NEW. MUST BE SEEN AND DRIVE TO BE FULLY APPRECIATED. JUST ARRIVED! 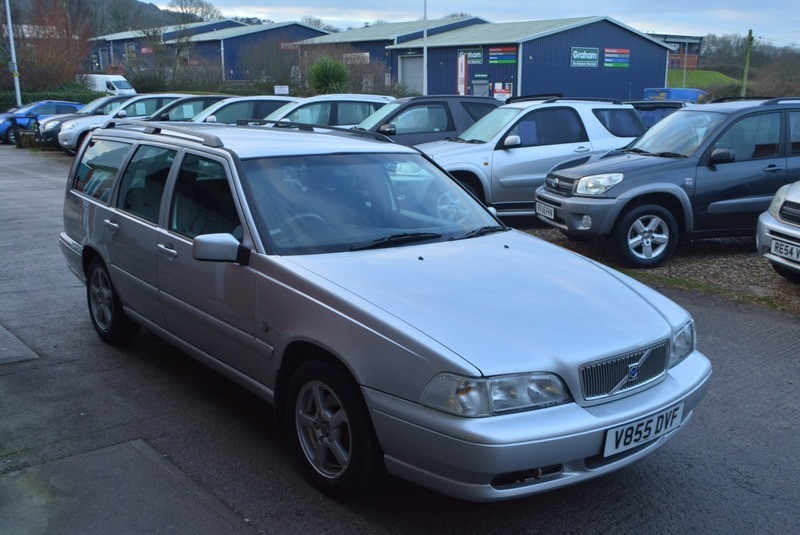 Here we have a stunning VOLVO V70 2.5D DIESEL MANUAL 5 DOOR ESTATE in silver metallic with grey cloth interior in unrivalled, unbelievable condition throughout. This vehicle has obviously garaged all of it's life and is a real credit to it's previous owners. Just had a full service and has more service and maintenance records than you can shake a stick at, having now covered 129,000 miles. NOT TO BE CONFUSED BY OTHERS, THIS TRULY IS A 'ONE OF A KIND' EXAMPLE THAT MUST BE SEEN TO BE APPRECIATED.